I attended an event called The Toast of the Town this week, hosted by The Young Men's Business League, The Young Women's Alliance, Austin Under Forty, and Catalyst 8 (four charitable organizations that cater to the under 40 crowd, which I have now departed). It was quite the shin-dig and there were some good networking opportunities. I met many cool new folks that I did not know before, and got to catch up with old friends. The highlight of the conversations was when I met Jonathon Morgan and Amanda Butterfield, who are the co-artistic directors of Yellow Tape Construction Company. This is a very hip performing arts group that is staging some very interesting plays in the Austin area. Yellow Tape Construction Co. is here to further the next generation of a truly great, wholly original, definitively American performance aesthetic. At the intersection of dance, theatre, music and performance art, we are creating a new community of artists and patrons -- laying a foundation of strength and support through innovative arts programming and fearless new work. They were very fun and cool, and I look forward to learning more about the plays they produce. They apparently bring a digital camera with them everywhere and have a photo blog of the people they meet along their way. I guess I made the cut, as here is my picture with Jonathon from their blog! Who knows, maybe some avant garde performance art based on networking could be in the future! Some Assembly Required, The Musical. Hey, a kid can dream!!! Hugh Macleod at The Gapingvoid Blog has become my favorite new blogger recently. He draws very funny businesscard size cartoons with each post, but more importantly his views on stuff are very insightful. He has a post on creating a Global Microbrand that you should read. It focuses mainly on how the internet and blogs have made it easier for people to develop their brand and thus sell more of their product or services. I agree. I do wonder, however, if what he suggests is not getting harder because of the overpopulation of the blogosphere. He, and the others he sights (ie: Robert Scoble), began carving out their blogging fame long ago when most people had not yet heard of blogs. Now that it seems everyone I meet has started a blog, and thus getting traction is going to be more difficult. I started this blog eighteen months ago and gained a readership quickly. However growing the traffic becomes more of a challenge with each month as more and more blogs pop up around the world. The choices for the blog readers have become overwhelming, and there is no end in sight. No matter what I try to accomplish, there are always other things that pop up and block my path to success or knock me off course. Sometimes I can overcome these distractions, but other times they keep me from reaching my target goals. Concentration is necessary to achieve success. You have to learn to ignore the cell phone, email, the Blackberry, the internet, television, radio, the iPod, and all the other "tools" that deliver information to us everyday. All the electronic devices that have entered out lives in the past few decades were designed to make us more productive,.... but they have the opposite effect if not kept in check. Different people have different ways to make sure that they concentrate on the tasks at hand. Some are fortunate to have the natural ability to focus. I am not one of those people. I need to turn off the email alert ("ding") on my computer, close my office door, and let the phone go to voicemail when I am working on a project. I keep the radio off, and limit my internet research to just a few times a day. I am easily distracted and find that a co-worker stopping by can lead to a thirty minute chat about anything, .... derailing my work. However, when I can work without distractions I can accomplish amazing results. When I enter "the zone of productivity" I have fun. Even if the task is making cold-calls (does anyone LIKE doing that?) I am enjoying my job. Look around at the people you admire in your industry. Those who are at the top of the success ladder will often have superior concentration abilities, or have a great administrative assistant who can compensate for their scatter-brained tendencies. If you do not have either, then learn how to concentrate on the current project and do not let yourself become distracted. ****PS- Are you organizing a 2007 planning session for your company, law firm or professional association? My 90-minute seminar, "Some Assembly Required: How to Make, Grow and Keep Your Business Relationships" is a dynamic, interactive course on developing your business / social / professional network and is guaranteed to foster discussion and inspire your team. Contact me for more information (512)970-0398 or thom@thomsinger.com. Speaker's Bureaus are encouraged to call, as I am happy to work with professional bureaus and agents. I invested nearly 2 hours to watch this online webcast that was sponsored by OPEN from American Express. It is all about creativity in business: standing out from the crowd, doing amazing things, and soaring to success. "If you had to choose an address of where to open your business, you would want it to be located at the corner of Art and Commerce". -- Mario Batali, restaurateur and celebrity chef. Wow! That line rang in my ears all day after I heard it on this webcast. Invest the time ..... click here and watch the video. Now I realize that most people will just blow it off and not watch the video, even though it is full of amazing stuff that can help anyone in any industry. I expect this, especially from those in the legal profession who read this blog. They will think that their valuable time cannot be spent watching a webcast ("if it is not billable, it is not worth doing",... I once heard from a lawyer!). Your loss. MySpace, LinkedIn, Friendster, Ryze, ecademy, Hoovers Connect and countless other social networking services are all the rage. The number one question I get when I give a speech on networking is what I think about the online tools now available. My answer is that they are just that...A Tool. Online networking is not the same thing as face-to-face networking. When adding someone to your online community it does not make them your “instant friend”. Real friendships are developed over time and require the discovery of mutual interests and shared experiences. Many people who do not enjoy the whole concept of networking will often look to these sites as the magic bullet to building relationships. They look at their number of contacts and feel confident that they are doing a good job of creating a network. This may or may not be the case. Just because you have a digital link does not mean that the other person will have your best interest at heart. It is very difficult to know someone by reading his or her profile. Working in the same industry of having similar interests is not enough for the basis of a strong mutually beneficial business relationship. It does not work that way for online dating, and it does not work in the professional world either. Some people in the online networking world will mistakenly view the quantity of connections as the important element. These people will invite hundreds (if not thousands) of people to join their networks without ever having met them. I have made it a policy that I do not link to anyone that I have not met personally (or had multiple email or phone conversations). When I speak to businesses on the topic of networking I will often get invitations to join the network of those in the audience. Even if I talked to the person after the presentation, I usually refuse these connections, as meeting someone at a seminar and having a short chat does not make them my friend or business associate. It is my belief that having lots of links to those that you do not really know deletes the power of your network. Since members of these online communities are not pre-screened or educated on the purpose of the service, you have no way of knowing the goals of people whom you might encounter. Just because someone has a profile on one of the social networking sites does not mean they welcome everyone on the planet to contact them. Just as when you meet someone at a face-to-face event, you need to follow proper the steps to begin a conversation. Do not assume you have the right to call on them because you stumbled upon them online. The Internet has changed, and will continue to chance, the way we do business. It can be an incredible tool for you to use in your efforts to build your network. The access that you now have to people in your local geographic area or across the globe is unprecedented in history. However, since people do business with people they know and like, you must remember that “knowing” and “liking” someone on a personal level requires continued contact and interaction. You might “know and like” celebrities like Tom Cruise or a political leader (Bill Clinton or John McCain? ), but they most likely not part of your network. The same is true for random people you might discover through online services. Reading a profile and sending an email is not equal to a multi-year, mutually beneficial friendship. ReviewMe Experiment Gone Bad, or Did It??? A few weeks ago I reviewed a paid blogger review service called ReviewMe. It is controversial, the theory that bloggers could be paid to post about a product or service, but I was interested in how it would work, so I signed up. A lot of bloggers signed up, but apparently the advertisers are not, in that I had not seen any chance to review anything. (Granted, maybe there are a lot of advertisers and nobody has selected me to review them!). So I decided to do an experiment of the service by paying a blogger to review my on-line networking skills assessment tool, The Networking Quotient. 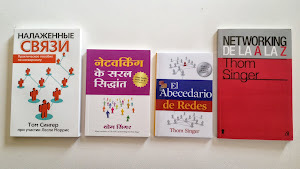 I did some homework and looked for a blog that I enjoyed the authors style. One where the blogger covered a wide variety of business related topics. 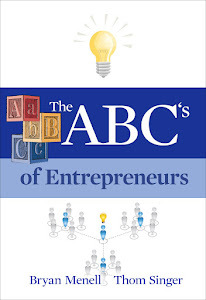 I found one that had a focus on entrepreneurs, and paid my money to ReviewMe for www.yolksmoke.com to do a review. The good news is the service worked. 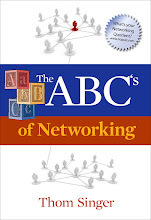 The blogger almost immediately reviewed The Networking Quotient. The bad news is he did not like the quiz. In fact, he did not invest the whole six to eight minutes to complete the quiz, because he did not find any value to spending his time taking a quiz on the topic of business networking skills....and he reviewed it accordingly. He was cynical in that he thought a negative review might cause him not to get paid. I would never protest his payment, as ReviewMe is very clear that a negative review is a risk you take by using the service. I was a bit offended that he might think I would not pay him....but then I realized that he could only think that because we do not know each other. My whole belief system is based on the importance of real relationships. This is a lesson learned on never thinking that digital connections through an online service of any kind could replace true human connections. I was not horrified by the review. He was very professional in his tone, but the quiz was not on a topic that was of interest to him. The quiz is designed to make people think about how they react in certain areas of their efforts to make, grow and keep their business relationships....and to show them a comparison of their score to others who have taken taken the quiz. It is a simple assessment tool. I am not one who believes that everyone in the world will (or should) always agree with my views. Nor will they like everything that I do. In my life I have met people who get angry when others do not fall into step with them. Not me. Additionally, from negative feedback (delivered in a professional manner) we can learn how to improve. The Networking Quotient is evolving from the positive and negative reactions of those who have invested the time to take the quiz. It will get better, and more valuable, directly because of such comments. My experiment with ReviewMe did not turn out as I might have wished, but it was worth the investment. For anyone who would look to use this type of service for PR purposes, beware. Negative reviews are a real possibility. And you may not get someone as professional as my reviewer. The web is full of people with axes to grind and who can make all kinds of harsh personal attacks. My final review of the service is that ReviewMe should be approached with caution. You should know the blogger that you are approaching for a review, so that you can understand their preconceived opinions of your product or service. But if you know them well, the odds are they would happily review you for free....so then you have no need for the paid service. If you think of ReviewMe as a shortcut to making a mutually beneficial friendship with another blogger, you might not be happy with the results. I am happy to have tried this service, even though my reviewer did not have a good review, as I learned a lot of things from the experiment. And just for kicks, please take a few minutes to take The Networking Quotient Quiz. If you don't like it, don't tell me! Just kidding, I welcome all feedback!!! Last weekend I had cause to shop at both Nordstrom's and Wal-Mart on the same day. It was a Sunday afternoon, and I was in a hurry. I knew exactly what I needed in each store and my hope was to get in - and get out! On first glance, which store do you think provided me with the superior customer service experience? Yes, it was Nordstrom's. NO CONTEST. You knew that without thinking about it. The person behind the counter at the Tire Center in Wal-Mart was very nice, and I am sure she meant well, but molasses runs faster in January. I was second in line but it took me over twenty-five minutes to get my paperwork completed so that they could repair my tire (which had somehow decided to pick up a nail). Three times she asked me to spell my last name. Singer is not that hard of name. S-I-N-G-E-R. Upon getting everything set up she hit enter and the whole transaction disappeared from her screen. Back to square one. S-I-N-G-E-R. The bothersome part is that she told me this happens all the time. America's largest retailer might need to upgrade some software! While this was going on, my wife and kids were waiting outside. After 20 minutes my wife called my cell phone to see if I had been abducted by aliens. Later that day I had to run into Nordstrom's to grab a birthday gift for a family member. When my wife dropped me off, there was a huge sign on the door that read "Half-Yearly Sale". For anyone familiar with Nordstrom's, you instantly know that this means half of Central Texas would be in the store. Yep....crowded, crazy, insanity. I grabbed the gift and went to the line. From nowhere, a Nordstrom employee realizing that the person in front of me had a large purchase, opened a new register. Additionally, the person who waited on me was upbeat and enthusiastic. The craziness of the sale did not phase him. His attitude put me in a great mood as well (I am smiling just typing about it). I was back at the car in just minutes. I wish this post was one where I tell the reader I was pleasantly surprised by Wal-Mart...but my experience was just what I would have expected. When I walk into Nordstrom's I know I will get amazing service. At Wal-Mart I know they will have nice people who will try....but they will not be over the top. The people with the best skills in customer service will end up working for Nordstrom's. Always have, always will. What about your business? Do your customers know in advance how an encounter with your company will play out? I bet they have preconceived notions of how your team will react to any customer service request. Hopefully they see you more like Nordstrom's!!! Success comes to those who never quit. I am always impressed with those who become an "overnight success", because when you look closer they have spent years pursuing their goal. Along the way they have had trials, tribulations, set-backs and failures. However, where others gave up - they kept going. They have had amazing focus toward their goal. While going for their dreams these special people encounter others who do not support them, ridicule their efforts or try to stop them. Yet they keep going. I am fascinated by success. What is that special talent that drives people to create something from nothing? How come some have the ability to focus on a goal no matter how many obstacles appear along the path? I believe that everyone has desires for more in their career and I believe we can all reach higher levels. The trick to climbing up the ladder is to visualize what success looks like and constantly keep moving toward that end. However too many people sit back and hope that opportunities will just appear, while having no idea what they want in those opportunities. I have begun to invest thirty minutes everyday to visualize my future success. Although I have not yet achieved my goals, I am learning what steps I need to take to get there, and teaching myself how to recognize opportunity. I also am committed to not giving up. I am being tenacious in the den of lions who do not understand what I will accomplish. I am adopting focus. I want to be the one with "crazy tenacity". Those who are avid readers of this blog know that I am a big fan of hosting unique events for clients and other business friends. It takes some planning and creative thinking, but when you host experiential marketing events - you will always out shine your competition. People remember things that are out of the ordinary. The Austin, Texas office of the law firm Akin Gump hosted a GREAT client event this weekend. They rented out a local movie theatre and invited their lawyers, staff, clients and "friends of the firm" - along with their families!!! - to watch the new dancing penguin movie, Happy Feet. An event like this would not appeal to everyone. One can only expect people with young kids to come out for a Sunday at the movies...but that was okay because they filled the place. Many law firms would scoff at doing an event for clients and their kids...but those other firms are "old school" (and just don't get it...and probably never will). Akin Gump thought "out of the box" and created a fantastic experience for everyone in the packed theatre. Additionally they had toy penguins (in Akin Gump t-shirts!) for every kid, took photos of each family with a live man in a penguin suit (which they will personally email to everyone later in the week! ), and provided unlimited items from the concession stand. My kids were a bit confused by the free popcorn, candy and soft drinks....as they are used to going to the movies and having dad say "No!!!" to their request for overpriced refreshments. Sunday they could eat their fill, courtesy of Akin Gump. After the event I was talking to one of the firm's clients who had attended with his wife and three kids. He was so thrilled to meet the families of his lawyers and of other key local business professionals in such a fun setting. He LOVED the idea of the firm hosting a family event. Events like this are what make client relationships stick. Why more lawyers do not try to be unique is beyond me. It always comes back to "people do business with people they know and like". I applaud Akin Gump for their efforts and thank them for including my family at the Happy Feet Premier. 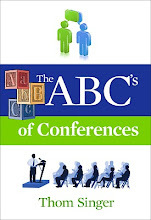 Looking for a good book to give co-workers or to someone in your business network for the holidays? "Some Assembly Required: How to Make, Grow and Keep Your Business Relationships"
It is a quick read and packed full of tips on ways to improve networking and business development skills. Shop Amazon.com now! Click here to read his post, or email your story to steve@ripplecentral.com. I apologize for being late today in posting the Friday Parade of Random Cool Things, but I was attending an all day conference sponsored by TiE Austin: TiE Con Texas 2006 - Business Without Borders: Entrepreneurship Unleashed. TiE (The Indus Entrepreneurs Group) always does a phenomenal job of drawing in the "A-Team" of local entrepreneurs, investors and service providers to their events....and today was no exception. The groups motto sums up the whole program today, "Fostering Entrepreneurship Through Education, Mentoring and Networking". The program consisted of a variety of expert speakers and panel discussions. So much good information that it would not do justice to try to report on the whole day. I particularly enjoyed the panel discussion, "Disruption & Convergence - The New Entrepreneur". Focusing on how entrepreneurship, venture capital and exit strategies are rapidly changing along with the unprecedented pace of business and technology innovations, these business executives and venture capitalists shared personal experiences of growing businesses in the old, new and new new economies. "Timing is everything" according to Dave Panos, whose company is now taking the new social media industry by storm. While they have changed directions since inception, they have captured a market segment and continue to grow with a combination of great technology, hard work and the right timing. My favorite comment came from Mike Maples, Jr, who said that "$500K is the new $5 million" in respect to why it is better for start-ups to establish their formula and eliminate up front risk and then raise growth capital. Taking too much money too early puts too much time and the investors money in jeopardy. With the costs of being a public company rising, and IPO is not always the best exit strategy, and companies need to examine their options early. Raising less money allows for more exit options down the line. They also discussed the importance of patents for tech companies, but it was made clear that few companies have ever succeeded because of the patents, rather they are in place for protections down the line. To rely to heavily on the patent wont get them anywhere. Companies need to focus on things they can control (building a large and sustainable business). The below was created sometime ago by Vincent Wright. I like it. 1. Network: Does the person have or intend to have a vibrantly alive network? 2. Energy: Does the person let her energy shine through her creativity & knowledge? 3. Thoughtfulness: Is the person THOUGHTFUL in sharing with others? 4. Work: Does the person do GOOD QUALITY WORK? 5. Organization: Is the person organized enough to minimize wasting other networkers' time? 6. Recruiting: Can the person recruit a wide variety of people to hold her network together? 7. Knowledge: Does the person have current & relevant knowledge of the networking field? 8. Interdependence: Does the person work well independently as well as with others? 9. Nurturance: Does the person add value & encouragement to the people in her network? 10. Givers Gain: Does the person use giving as a way of networking for business life? How about you, could you qualify? Everyone should be able to achieve all ten of these criteria if they care about having a network of professional contacts that can and will refer business. Test your networking skills by taking the Networking Quotient Quiz. This is an online assessment tool with thirty questions, which will take only eight minutes. The questions will make you think about choices you make when networking, and you can compare the results to those of your peers. www.networkingquotient.com. ***PS - The Holidays are almost here and finding the right gift for business associates is always difficult. 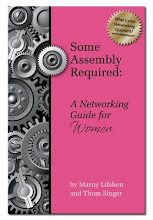 How about giving copies of my book, "Some Assembly Required: How to Make, Grow and Keep Your Business Relationships" (New Year Publishing, 2005). Technology can let us down. Trading emails is not a substitute for meeting someone in person. 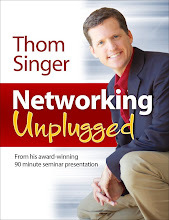 I recently asked a well known author/blogger for his opinion of The Networking Quotient Quiz. I was not asking him to blog about the free online assessment tool,... but he is someone I respect and I wanted his feedback, as we are still fine tuning the product. He entered his email address, but never received the auto-responder email message that gives one the unique key to take the quiz. I could tell by his response that he was not happy with this. I could tell by the tone of his email that he was annoyed. This was a big reminder that online relationships cannot ever be as strong as personal connections. I do not know this author/blogger....I have only read his books and blog. We traded a few emails, but do not have a real connection. If we had been friends (or even met in person), the glitch in technology would have been just that. In this case it was my first (and only) chance to make a first impression. Overcoming a bad first impression is difficult. Most people do not ever forget an annoying encounter (on line or in person). I apologized for the mishap, but it was clear that he was underwhelmed with his experience with me. Sometimes you just have to smile and realize that not everything you do will work out the way you had imagined. I still admire this individual, and hopefully our paths will cross again under better circumstances. I like him most because he tried to take the quiz, I have asked some other prominent folks who did not have the time. I like that this guy makes time for anyone who sends him an email. That is very impressive. For the rest of you, PLEASE try the quiz at networkingquotient.com.....I know it works (It has only malfunctioned for this one person!) and I would appreciate your feedback!!! 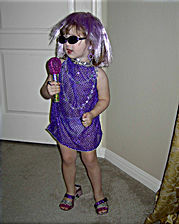 I have submitted this picture of my kid to Jones Soda Company for consideration to be on the label of their soft drinks. The photo is a few years old, but it still makes me laugh. She has a big personality, and this sums it up. For those who do not know Jones Soda, you are missing out not only on tasty carbonated beverages, but also on a company that is the definition of "cool". 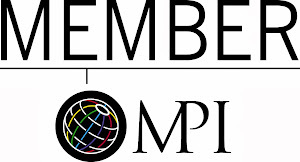 The company is a runaway phenomenal example of how to think out of the box and create buzz. They have created customer loyalty and a dedicated following by making their business more than just a soda company....but more of an experience. The labels on all flavors of Jones Soda involve wacky photos of anything and everything you can imagine, .....often of customers, their pets and their passions. People submit pictures, the public votes on them....and the winners achieve beverage fame. You can vote for this photo to make it on a bottle of pop by clicking here! "Thank you for your support" (yes, I know, I am mixing up my beverage slogans!). Have you taken The Networking Quotient Quiz yet? Please visit www.networkingquotient.com and see how you score. The quiz is thirty questions and takes about eight minutes. Is building your business network of professional contacts a high priority in your career development plan? It should be. Opportunities seem to always appear for those who have cultivated a strong social network. Don't just wait to be lucky. Create your own luck by knowing the right people. THE NETWORKING QUOTIENT is a great assessment tool to help you review how you are doing in your efforts to make, grow and keep your business relationships. Get money for writing your blog! Attention all bloggers, what is your thought about a service that pays you for reviewing products and services on your blog? You write and they pay you for what you have to say. There is a lot of buzz and controversy around the blogosphere about programs that will give cash for blogging. I understand the argument that says "all blogging must be pure and free from any corporate influence". Then there is the part of me that says "WOWWY, real money for giving my observations to others!" I think we call people who get paid for writing their observations REPORTERS. Last time I checked, Katie Couric got paid a HUGE salary by corporate advertising for all the silly stuff she has talked about in her career....why shouldn't a blogger get some money??? Ms. Couric does not put on all that make-up, do marathon hours of pilates, and act so perky just for the fun of reporting. She does it for the money. Thus, as long as the blogger makes it clear that he is being paid for the post....then this practice is a just fine with me. I have decided to give ReviewMe.com a try. With this post I am going to dip my toe in their water and see how it works out. Supposedly they are paying me for this post which you are reading, and I do not have to say good things to get the money (they encourage reviews to be HONEST). It was very easy to sign up, and we will see what happens next. Let me know your thoughts about this topic by leaving a comment on this blog or sending me an email. PS- Have you taken the Networking Quotient Quiz. This FREE on-line quiz has 30 questions and takes about 8 minutes to complete. You will instantly get the results of how you are doing in your efforts to make, grow and keep your business relationships. Take the Networking Quotient Quiz now at http://www.networkingquotient.com/. I was in Los Angeles, California last week. Now some folks may not like that town, but I LOVE L.A. I was born and raised near The City of Angels and to me it will always be home to my wonderful childhood memories. While much has changed, much is still the same. While I was there for a training class, I also had the opportunity to have dinner with my dad, who just turned 92-years-old last month. He is amazing. He looks 75, and is as active as ever. While there I got to share with him a copy of the new book, "When Roles Reverse: A Guide to Parenting Your Parents", written by my friend Jim Comer. Jim's book is a packed with information that every family needs to know as they look to caring for aging parents and grandparents. Fortunately for us, my dad is self-sufficient, and lives his life to the fullest every day....but I wanted to share this with him because it has a story about my dad featured in the book. My brothers and I require my dad to subscribe to the Los Angeles Times daily, even though his busy schedule (he golfs, bowls, plays cards or goes on dates with one of his many girlfriends) does not allow him the time to read the paper everyday. The reason for the subscription is that the neighbors would quickly know if something was wrong if the newspaper is not picked up by noon each day. It is an easy system to monitor that all is okay, and requires those who live across the street to simply glance at the driveway when they come and go. Jim used this story in the book. Kinda cool. If you have aging parents or grandparents, Jim's book is a MUST READ. Available at Amazon.com! More information available at www.whenrolesreverse.com. 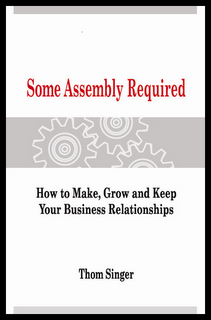 Speaking of books...My book, "Some Assembly Required: How to Make, Grow and Keep Your Business Relationships" makes a great holiday gift for any person in your business network. Available at Amazon.com. Learning From The Kid, Again! My nine-year-old daughter got her Red Belt in Karate this week. She has worked hard and does a good job in her study of the martial arts. I am proud of her accomplishments. 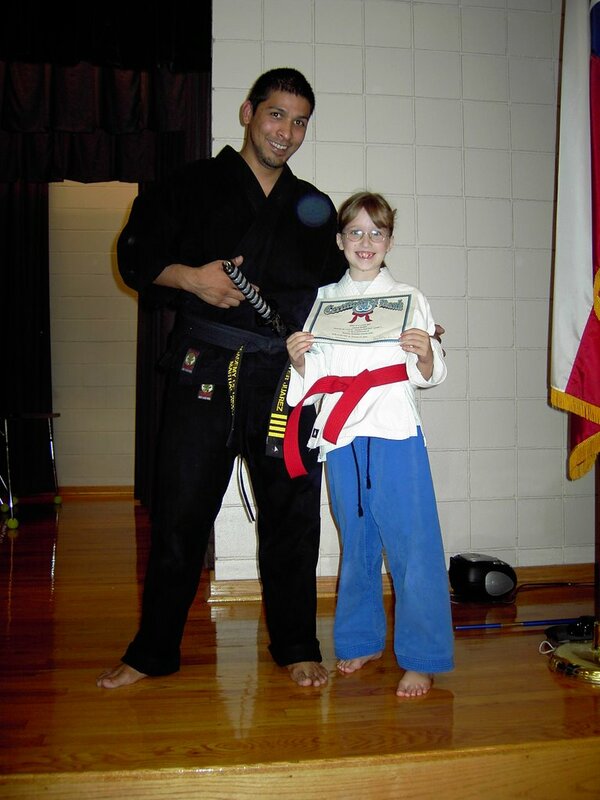 She is now in the advanced level training, and it will get harder from here as she treks toward the Black Belt!!! The students had to recite their "student creed" during the graduation ceremony. It struck me that if we all lived by these words we would be much more successful in our jobs, personal lives and private ambitions. I must develop myself in a positive manner and avoid anything that would reduce my mental growth or my physical health. I must develop self discipline in order to bring out the best in myself and others. I must use common sense before self defense and never be abusive or offensive. We are a black belt leadership school. We are motivated. We are dedicated. We are on a quest to be out best. Winners never quit. Quitters never win. I chose to be a winner. Wow. These words can apply to any person in any profession. If you want to succeed, you need to focus on being your best, and stop putting your attention on all the negative crap in the world. ****Please take a few minutes and take The Networking Quotient Quiz. (www.networkingquotient.com) It is a FREE, on-line, 30 question quiz that will take only eight minutes to complete. With your answers you will be able to see how well you are doing on your efforts to make, grow and keep your business relationships. Today is election day in the United States of America, and I encourage all Americans to get out and fulfill their duty to cast their votes. Regardless of your political views, I respect your right to vote. The whole democracy would work better if more people voted. In this country, for some reason, people have abdicated their voting rights, and thus we cannot achieve our fullest potential. I am sick of politics (I used to love it, but it is just so damn ugly!). Both leading political parties are so focused on their own desires for power that they have forgotten the greater good of what they can accomplish in Washington DC. Additionally the divide between those on the "right" and "left" has become so un-civil, that the mention of politics in a social setting is taboo. People in America have lost the ability to listen to opposing view points without becoming crazy. I asked a democrat friend about his thoughts on the close House and Senate races currently going on around the country, which could change the balance of power in Washington. He was EXTREMELY excited about the democrats winning (like a kid at Christmas). He seemed to honestly think that all of the problems on earth would vanish if his party was in charge. Sadly, controversial problems will always exist no matter who is running congress or the White House. He also had some nasty words to say about the president and what he called "stupid Joe 6-pack" (whom I think was his way of describing the average person who lives somewhere he does not live, think John Kerry's comments last week!). He had a lot of hate and negativity in his voice when he talked politics. On the flip side I talked to a very conservative republican friend. He was nervous about the congressional balance of power and had equally nasty words to say about those with views to the left of his own (for fun I mentioned Hillary Rodham Clinton, which always makes him nuts!). He, too, was crystal clear that his party was best. This is the problem. Everyone thinks they are personally so much smarter than everyone else on the planet. The left sees the right as dumb and brainwashed .... and the right sees the left as elitist and misguided. But life in the world today is not black and white. Political issues are lost in the gray. How folks are so sure of themselves amazes me. I know that I do not know all the answers when it comes to politics! I would hope that people could embrace conflicting ideologies and respect the people who hold them as having the right to believe them. Civil discussions on the issues without hate and name calling would be better for everyone. Yet I know this is just a dream. Regardless of how you want today to turn out at the polls, I hope you will go and vote!!! The Networking Carnival - 2nd Edition! Yikes! You just lost your job! You’ve been so busy at *work* that you don’t feel your network is as strong as you would like it to be! 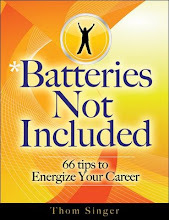 What are you going to do with (and to) your network in the next 6 weeks as you begin an aggresive job search campaign? And, outside of your network, what job search tactics will you employ? Or your best networking tips related to job searches. Jason has compiled an amazing list of links to blog posts on the topic. Click here to see them all. It will take you a little while to read them all, but wow....it would be worth the time investment. One time I got a call from a woman who was a "friend of a friend". She had been laid off from a large computer manufacturer in Austin (rhymes with "Sell") and she was not having any luck finding new employment. Two months had passed, and with a slow job market she saw no prospects for employment. Many of her co-workers had already landed in new positions, and she discovered that all of them had found their opportunities through someone they knew. She had not ever given any credit to "networking". In fact, she had always discredited it as "fluff" and only for people with free time. She had never believed in allowing herself any time to do anything but work, and had put in fifty to sixty hours a week in her job, convinced that if she worked hard and met her quota, she would never be laid off. Now she needed a job, and found that since nobody in town knew her, she was starting behind candidates who had an "in" for the few coveted openings. 1. She asked me to coffee, then made it clear that she expected me to pay since I was employed. If you invite someone to coffee or lunch you should expect to pick up the bill. If the person offers to pay, you can decide if it is appropriate to give them the honor...but do not assume that because you are out of work that your guest should buy your lunch. You invited them to come talk about avenues that are for your benefit. 2. Realize that networking is not magic. Just because you meet someone who has a network does not mean they know of an opportunity to help you land a job. This woman just assumed since I was well connected that I would know of an opening for someone with her expertise. She looked at having coffee with me as uncovering some mystic pool of opportunity. Not only did I not know anyone who could help her, I did not like her attitude, and thus would not have made an introduction if I did! 3. She was not grateful for my time. I had never met this woman before, and yet I spent an hour with her listening to her situation. Networking is not free therapy. She just assumed that since I was a "networker" that our time together was no big deal. She barely said "thank you" when we parted (this might have been because I had no job in my pocket), and I never recieved a thank you note, email, or follow up phone call. I have never seen her again. If you are going to be serious about networking to help you find your next job you need to start before you become unemployed! However, if you are starting late, you need to realize that building a network takes time. If you do meet someone with a large network, be respectful that it is their network (not yours), and do not expect them to just introduce you (a stranger) to important people that they know. Finally, in your job hunt ALWAYS be thankful (very thankful!) to anyone who talks with you about your quest. People are more likely to help someone who is genuinely grateful than someone who just expects help from the rest of the planet. People do business with people they know and like!!! That is the premise of my book; "Some Assembly Required: How to Make, Grow and Keep Your Business Relationships" (New Year Publishing). So how do your networking skills compared to others? Please visit The Networking Quotient and take the free quiz. I designed this free quiz to help others learn about social networking skills for business while letting them see how their skills compare to those of their peers in several demographics. The 30 question quiz takes about eight minutes to complete and the results are calculated immediately. You will see your score and the average scores of those in your categories. Once you have completed the quiz, please tell others in your company to visit www.networkingquotient.com, then discuss your results and look for ways that your team can improve your networking efforts. We welcome your feedback on the quiz (it just went live today! ), so send me emails with your comments and questions. Thank you and NEVER STOP NETWORKING! 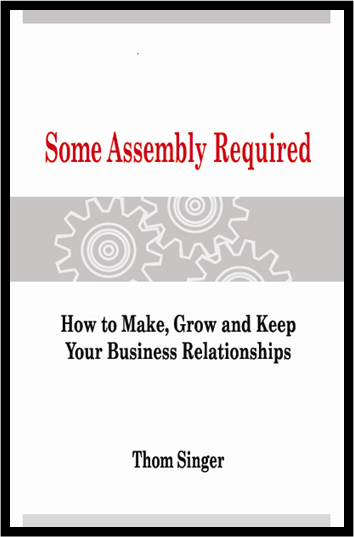 ***"Some Assembly Required: How to Make, Grow and Keep Your Business Relationships" (New Year Publishing) makes a great holiday gift for business professionals on your list. Available at Amazon.com, or for large bulk orders (25 books or more) please contact me directly. Bruce Allen has a great post this week about not being a "Me-Too" marketer on his Marketing Catalyst Blog. Bruce says that too many companies (especially law firms) spend too much time looking at what their competitors are doing for marketing and then they copy it. He is right! People just assume that if another company is spending the money to advertise, then it must be worth it. I once heard a partner in a law firm argue that since the competition had a sponsorship add on the public radio station that his firm should too. He was positive that all his clients listened to the same station that he did, and they were hearing the competitions name on the radio. He just knew this was costing him clients. Was it? I doubt it, but there was not logic or research to his opinion....just feeling. If you let your whole marketing plan rest on feelings, then you will forever be chasing your competitors and will never stand out from the pack. Bruce's firm looks for ways to be different. He calls it "180 Degree Marketing". He looks where the other law firms are spending their money, then he puts his efforts some place else. Guess what? The competitors all follow, then he moves on. Be a leader in your industry, not a follower. PS - Happy 40th Birthday to my great friend Doug Willmarth. Business Development is about being both tenacious, creative, and patient. I have recently had trouble reaching prospective clients. I call, I email, I send snail-mail. NOTHING. Cold-calling, while a useful tactic, has not been working. The good news is I know all about networking! (heck, I wrote a book about it!). But I also know that you cannot always network your way into every company as quickly as you might like. Fortunately, I have always believed that networking is just another useful tool, not the total answer. Today I discovered that a combination of all tactics will work the best. I had called on a specific company for six months. I had left voicemails, sent emails, and had dropped off information. I could not reach my prospect and he would not call me back. I met another executive from the company at a networking event and we hit it off. I was going to move my attention to my new contact when out of the blue I heard from they guy I had been trying to reach for a year. It turns out my name came up in conversation at the company and that spurred him to call me. Now I have a meeting scheduled. Will I win the account? Maybe. But without the appointment there was no chance. So while no one tool helped me reach the prospect, a combination of many made it happen. Never give up! Instead keep looking for unique ways to make contact. While I am still having a difficult time reaching my would-be prospects, I am still calling back until they meet with me! 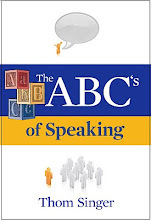 PS- Thank you to all who have recently purchased my book at Amazon.com. October was our sales month on Amazon!! !